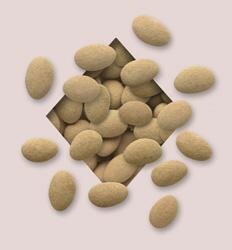 Cocoa Almonds from Koppers, roasted almonds in dark chocolate then dusted with cocoa powder. These delectable treats will be the toast of any party or promotion. Kosher Parve. Sold in bulk, delivered in a 5 lb. box.